IACCSE exists to support companies entering the market for the first time. We especially back small and medium-sized businesses. Big businesses almost always operate on their own. After a wide-ranging career, Tommaso Cardana, born in Italy 43 years ago, took a Master’s degree in Venezuela, then moved to Miami, where he opened a hotel services company and later expanded to home supplies. 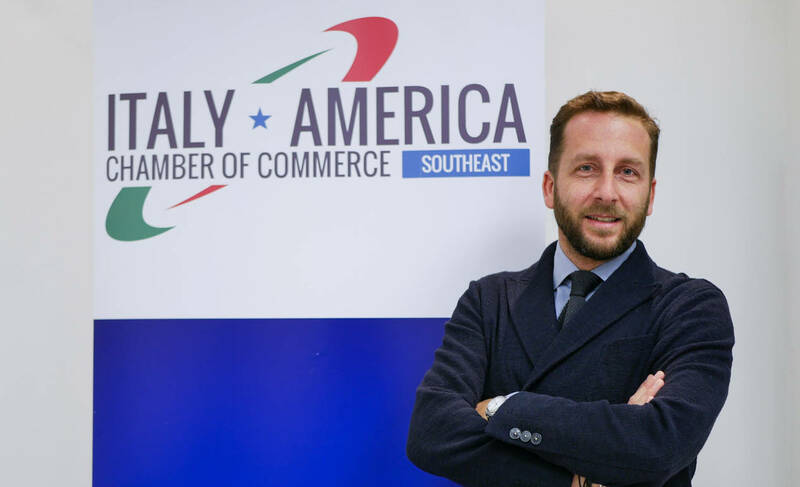 A year ago, he was elected president of the Italy-America Chamber of Commerce Southeast, Miami (IACCSE). The story behind your company is well worth telling. Work led me to creating Tomson Hospitality. Until 2007, I was working for Piazza, a leader in the professional steel kitchenware industry in Italy. While the company was undergoing restructuring and organizational changes, it decided to close its office and warehouse in the United States and run everything from Italy. After attempting to move the whole family back to Italy (I had two little girls at the time), we decided to return to Miami. I knew the producers, restaurant owners and chefs, and I launched this hospitality services venture. I started using the girls’ room as an office, at a desk I still have, and my car for storage and shipping. It was a one-man show! It wasn’t easy. I didn’t have any capital, so everything I made I reinvested in the company. I had to do everything, from sales to purchases to deliveries to accounting. It wasn’t easy to break into a market where my competitors were big well-known firms. My intuition was to concentrate on the medium/high-end market, offering quality products and excellent service. Fortunately, at the time, Miami didn’t have many medium/high-end restaurants, and therefore all the major distributors concentrated on the segment that for them was profitable. Sacrifice and perseverance are what led me to where I am today, which is beyond my wildest expectations. Then you went on to start another business, Tomson Casa, a company that imports home supplies from Italy and distributes them to North American through chain stores and online commerce. And for the last year you have been President of the Italy-America Chamber of Commerce for the South East, Miami (IACCSE). The post is a great honor. Moreover, it holds special significance for me, since my first work experience in Miami was as an intern for three months in the Italy-America Chamber of Commerce. After three months as an intern, I was hired, so for the first 16 months in Miami I was working within the Chamber. In 2012, a time when the Chamber was going through a rough patch, I was elected to the administrative council and, thanks to our group effort, we managed to help the Chamber bounce back. IACCSE is made up of 240 company members, some from Italy and some from America. Every two years the member companies elect 11 entrepreneurs, managers and professionals to its board to study and consent to a strategic plan for developing and operating the Chamber. The majority of our members are headquartered in Florida, though there are also member groups in South Carolina, Puerto Rico and Italy. How would you summarize your first year in office? Among the most important achievements: reaching a record number of member companies (240) and opening a new prestigious headquarters on Brickell Avenue, the economic and financial heart of Miami. We managed to completely restructure with “Made in Italy” materials, which were provided by many companies that wanted to underscore their ties to the Chamber and its role. 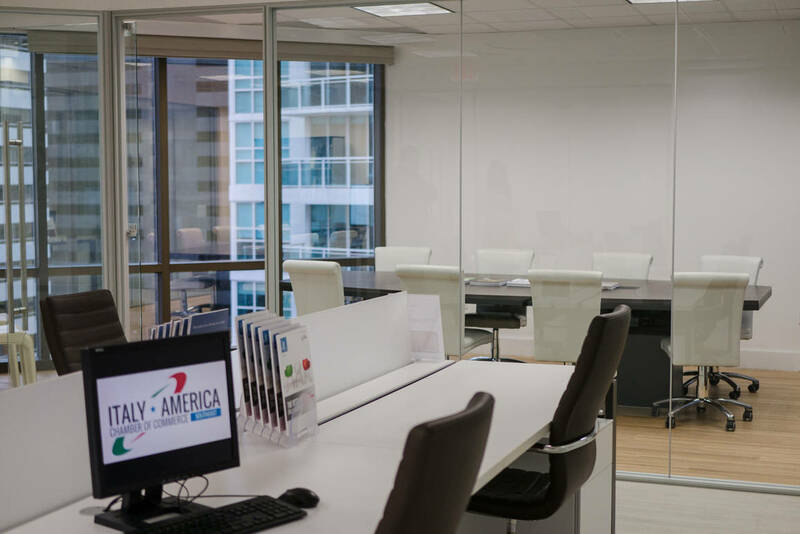 We created Italian Lab, an incubator/accelerator for Italian companies in the Southeastern United States, and we now have the ability to give J-1 visas to our associates. Among the challenges: having scarce resources to invest in long-term projects which would allow us to plan for the Chamber of Commerce of the future. It’s not easy for a non-profit like ours. We need to concentrate on the needs of our companies. We need to be open to how the market is evolving and identify where the Chamber can really make a unique and original contribution. 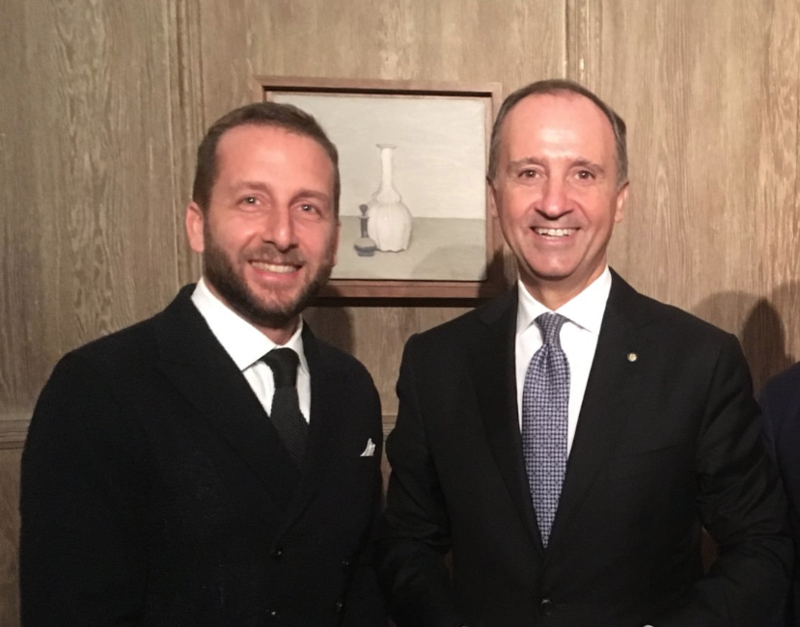 We definitely have to continue to focus on our role as a catalyst for businesses by providing occasions to present Italian excellence, in particular for sectors where real opportunities exist and where the market is responding. As far as concerns Florida, those include furniture and design, agribusiness, and nautical gear. The city is evolving, and you can tell not only by the changes in the urban makeup, but by a new network of increasingly diverse companies. How important is Miami for Italian companies that want to internationalize? 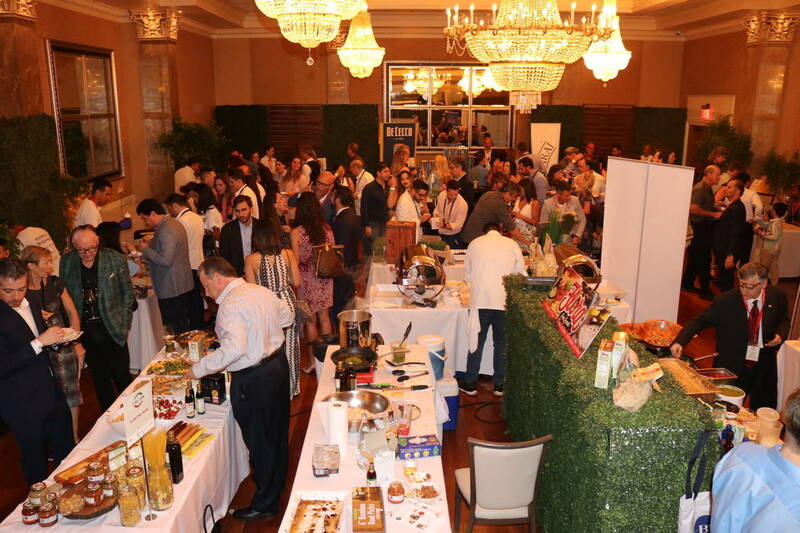 Miami has historically been a hub for the Latin-American market, which many Italian companies capitalize on. Then there’s the fact that Miami is a highly important arena for the cruise ship industry, yachting, construction, home furniture, and agribusiness. In general, every superior product ‘Made in Italy’ represents, from cars to fashion, will find a market here that is extremely attentive to marks of quality and luxury. Then there are niche markets, like bio-technology or aeronautics. IACCSE exists to support companies entering the market for the first time. We especially back small and medium-sized businesses. Big businesses almost always operate on their own. If I may ask a personal question, are you happy living abroad? What is your relationship to Italy? I’m very happy, even if being far from loved ones isn’t easy. I’d definitely do it again if I had the choice; it has exposed me to a lot of cultures and differences, from which I’ve learned a lot. Even the difficulties of beginning over again twice in two unknown countries, first in Venezuela and then in the United States, has helped me grow as a human and a professional. Sure, I have a very intense relationship with Italy. Every time I go back to Europe for work, I spend one or two days in Italy. And I got back there seven times last year! I’m also a big fan of soccer and often I get to combine my professional obligations with a game at the stadium! So it’s no coincidence that in 2006 you founded Inter Club Miami, which you’re still the proud president of. What do you love about Miami, the city where you live and work? If I may steal an old joke, the beauty of Miami is that it’s so close to the United States! Miami is a city that has grown a lot in recent years and continues to grow. It’s a city that has transformed completely since I first arrived. It’s an extremely international city with strong Latin American and European influences, a city that has a lot of faces and diverse areas that grow with diverse spirits, a city that is already developed yet has the potential to grow a lot more. From a professional standpoint, it’s in an internationally adventitious logistical position, a city that has attracted foreign investments from all over. From a personal standpoint, I think that Miami has an excellent quality of life; the cultural scene has grown a lot in recent years, and I also think it’s a good place for families. The climate and location help, obviously. It’s one of the biggest tourist destinations in the world. In short, when we’re not working, we’re always on vacation, without even leaving home!